When it comes to generating backlinks for your website, there are a few practices that can help you get the most out of the work you are doing. It’s important to take a look at the best practices to help generate backlinks to your website and take them into consideration in everything you do. When building links to your site, don’t only focus on adding links, but your other goal should be, driving traffic and get some loyal readers base/customer to your Website. Especially, when Google algorithm is changing now and then, we have to make sure our link building process is not limited to few days/months only, and should work in coming years too. One tip of the thumb: Keep it natural and follow link diversity. For newbies, who have never bothered about link building, it’s one of the most crucial processes of pushing your search engine ranking. Though, the post-Panda world where we see over SEO over-optimization penalty, I highly recommend staying away from all such shady methods to create backlinks, which do more harm than any good. I’m not going to share what all methods that we should avoid as, that topic need detailed information, and we will save it for the future article. For now, let’s learn some of those best ways, that you can use in 2016 and in the upcoming years. Before I move ahead, let me tell you: maintain link diversity. Don’t just try to build links via one method. For example, many young bloggers stick to blog commenting for building links and it’s a bad practice. You should look for other opportunities like Guest posting, article marketing, Email marketing, Social bookmarking and many others. There are more than 101 ways to create links, and here I’m explaining few such methods that you can start today to get genuine links to your Website. Before you generate backlinks to your site, I highly recommend you to use any of these online backlink checker tools and keep a record of number of existing links you have. Now, set a goal of something like you will be increasing the number by 10-20 Links every day, and you will not only limit it to the homepage but also get links to your internal pages. References from trustable sources like Wikipedia. When a visitor finds your site content as valuable and useful, they will share your site link with their friends and family, or even link to your site as well. This is why you should utilize your writing skills and knock their socks off with the killer, and interesting content. One easy way to generate backlinks via your content is by creating list and resource pages. An article like 101 ways to be social media rockstar, 50+ blogs to guest blog is some of the easiest ways to grab attention from social media and get natural links to your site. And, especially after Penguin, the best of the links is when you get it naturally and from the relevant niche. Something which worked years back and will work forever. You should also check out: 11 delicious ways to judge high-quality content, which will help you to create more quality and user centric content. Social networking sites such as Facebook, Twitter are huge in today’s day and age. If you are active on sites like these, you can help generate viewers to your website. When you can properly promote your site content /products/service/features, and engage social followers, they will want to share your information with as many people as they can. As a result, it builds backlinks naturally from social networks. Also, you will also learn more about what people are looking for on the sites they frequent. These social networking sites can be a valuable tool in getting the traffic you want. Not only such sites will help you to get free backlinks but will also help in increasing the social signals to your site and thus helps in improving your ranking further. The process of writing reviews can seem tedious, but it helps to write reviews and publish them on your site. This will help you better be able to back link to it. Make sure your reviews are unbiased, and you mention every possible pros and cons of the product you review. Especially, I recommend you to review the newly launched product as most of the time, product owner link to your review pages from the official site, which works as a high quality back link. Turn to some of your more popular bloggers to write a review by sending them your products or items that your website focuses around. This can help generate buzz in the internet world and get your site name out there. If you are an online service company such as ManageWP, SEMRUSH or any other such paid tool, offer a free pro account to bloggers in your niche. If your product is useful, you will get awesome free reviews and feedback to improve your product. Bloggers who offer services like SEO, link building, theme design, you can offer some free review copies of your service to other bloggers in return for the mention about your services on their blog. Editing Wikipedia articles that are in relation to your niche can help add another opportunity to drop in your links as well. This can help get the word out even further about your website. Though Wikipedia is quite strict with this policy to avoid spammers and spam links, and you should take care of their guidelines, before adding any links. One way is, browse few wiki pages in your niche and see which pages need more external links to add more value and develop content targeting that page. Simple but yet very effective way to build quality links. Guest blogging on popular niche blogs can help get quality backlinks to your site. Start by doing guest posts with blogs that have a smaller readership; then this can help you move forward to those with higher rankings. You can refer to the Harsh guide on How to craft guest blogging campaign which will help you to prepare a proper strategy and make your guest blogging link building plan, highly effective. Website plugins can help drastically. They can give your site a name and help get the word out there. Plus they are perfect for a link. All you need is a good idea, and you can use sites like Freelancer.com to hire any developer to build your plugin. Another bonus tip here: You can browse WordPress plugin repo and plugins which has not been updates from years and still is very useful, you can recode it and make it compatible with latest WordPress version and launch it again. Drop Emails to all such blogs which cover news related to WordPress plugins and tell them about updated plugin. You can also launch a free theme and keep the download page on your blog and inform fellow bloggers about it. I highly recommend avoiding adding your site link in the footer of theme, as it may lead to over optimization penalty. You can develop applications or apps on a site such as Facebook using their developers, and offer them on your site free of charge. This is a great way to get the name of your site out there. Another effective way to generate backlinks is by offering some great tools for free on your site. These can be tools like E-books, Audiobooks, etc. This can help get more readers and viewers, and generate tons of traffic to your site in the process. You can install the script to check page rank, check links or maybe loan and tax calculator, depending upon your niche. Be different and attract others into your inner circle to your site. Uniqueness is one way to get the word out there and have others interested. If you have offers for employment such as writing, offer them on your site. This will also help generate great backlinks to your site. If you are an existing pro-bloggers and get a request for interviews, don’t miss this opportunity as this is one of the easiest ways to get your site mentioned in front of the new audience and generate backlinks which are credible. This will also help in the branding of your blog. 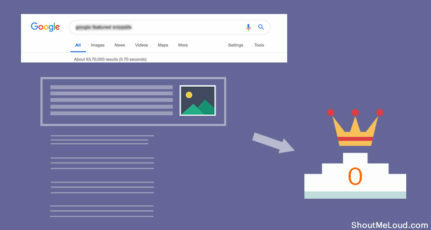 I also recommend you to keep an eye on latest SEO techniques and implement which works the best. Avoid using any automated link building software and tool and keep your link profile genuine and natural. It’s a tedious process to generate links but one of the most crucial and important part of Internet marketing and Blogging to get higher SERP’s ranking. These are some of the genuine and working ways which I can think of now, and I’m sure you might be having few of your tips. Do let me know what are those working ways to create links, which is most beneficial and easy to implement. Good one,I was looking for some genuine ways to get quality backlinks. I don’t know that Wikipedia we be helpful to make back-links. Wikipedia is so popular and am sure that if it really works, we will get good traffic from it. So I’m guessing that blog commenting is no longer an effective tool for gaining backlinks? Has the Panda & Penguin updates killed this method off? 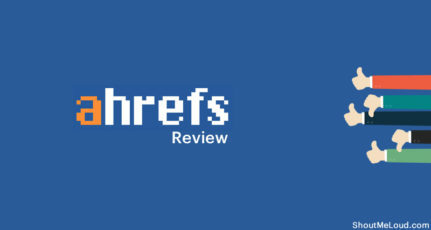 Very Good article i am agree with your all points but Interviewing others and get interviewed is not good if another one have new website or low backlinks. Many of these tips/techniques I am using while got 1 new things in this article; Free applications. It seems to new and would be good for getting visits. Is it possible if you provide a detailed topic on it so that’s why many of bloggers like me get help. Thnks for a great list. But everyone says creating original content is great. What is great original content for a coupon site? Thanks for the help. can i really edit wikipedia? r u sure? This is really beyond what I have gone through in most of the website who talk about the backlinks. 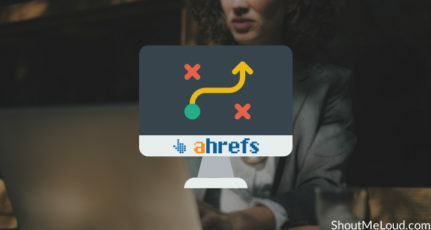 I found this article very creative and kept a lot of effort in thinking in such a way that letting us know the different ways to bring the backlinks. Thank you Harsh for such a great content. Thanks for your 12 actually 13 tips to generate backlink. Some is very useful tips for a beginner like me.